What's The Most Advanced Technology Used In Racing History? This weekend features two of the biggest events in motorsports, the Indy 500 and the Monaco Grand Prix. With all that heritage, though, has come some pretty whacky automotive experiments. And let's face it, the cars these days are so rule-bound that they're not exactly always on the bleeding edge of technology. I always liked the idea of turbine-powered cars pounding around the Brickyard, as the near-constant demands for speed give an advantage to the constant power flow of a turbine engine. Plus, it's like having a jet strapped to the back of your car in many ways. 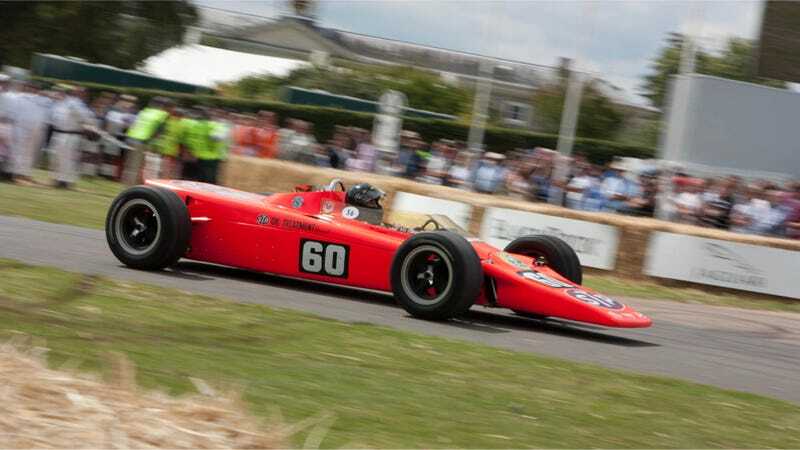 The Lotus 56, pictured above, married the insanity of a turbine engine with four wheel drive, and it managed to lead a few laps at the Indy 500 before reliability issues knocked it out and rule changes made it obsolete. So what do you think is the most radical innovation in racing history? Is it the beryllium pistons they attempted in Formula One? The Chapparal 2J sucker car? Or something else? Let us know in the comments!